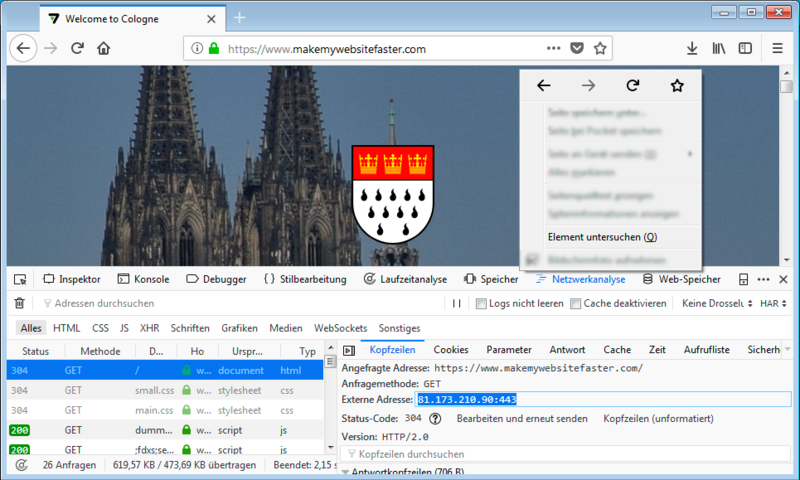 In case your wao.io optimized website shows an unexpected behavior or even an error, there is no need to change your DNS settings back in the first place. As follows you will find a quick and easy explanation on how to find out if this behavior is attributed to wao.io, or if you need to fix this on your server. First, do a quick check and compare your optimized website against the unoptimized version. This can be done on your computer without making any changes to your site or name server settings. On Windows, click Start and type notepad , then right-click on the notepad icon and click Run as administrator . Add a new line with your website address and backend IP address, e.g. Finally, save the file and proceed with step 2. On Apple MacOS or Linux, open a terminal window and edit /etc/hosts as super user in a text editor, e.g. Then add a new line with your website address and backend IP, e.g. Finally, save the file and exit the editor (in nano, press Ctrl+O , then Ctrl+X ). Reload your website and make sure you're now seeing the backend version. In Google Chrome or Mozilla Firefox, right-click anywhere inside your website and then click Inspect Element. The developer tools will open. Switch to the network tab, reload your site again, and click on the main entry. You should see your backend's IP address on the right. You should see your backend's IP address in the output. Check your website if everything is working as expected. Any problems than can be found in your website's backend version, are NOT caused by wao.io . If your problem is gone when you bypass wao.io, modify your configuration and disable optimizations that have an unwanted impact on your site (see below). After verifying your backend site, don't forget to undo your changes. Remove the line you added to /etc/hosts and save the file. Then, reload your browser or use the ping command to verify you are looking at the optimized version of your website again. Login to wao.io and go to your website's settings. If you already have an idea which aspect of your site is affected, try to disable the optimization related to that feature, e.g. if you experience problems with style sheets, try to disable CSS Minifying. If you have no idea where to start, you can disable all optimizations, all security features and all advanced features and then, one by one, turn features back on. After making a change, make sure to save your settings and reload your website. Feel free to contact wao.io to help you find the right settings!